Award-winning builders share their process for making happy customers. Happy customers are a home builder’s best marketing assets. Nothing drives new prospects to your business like a positive review from a friend or family member. Successful builders know that customer satisfaction stems from more than delivering a quality home on time. 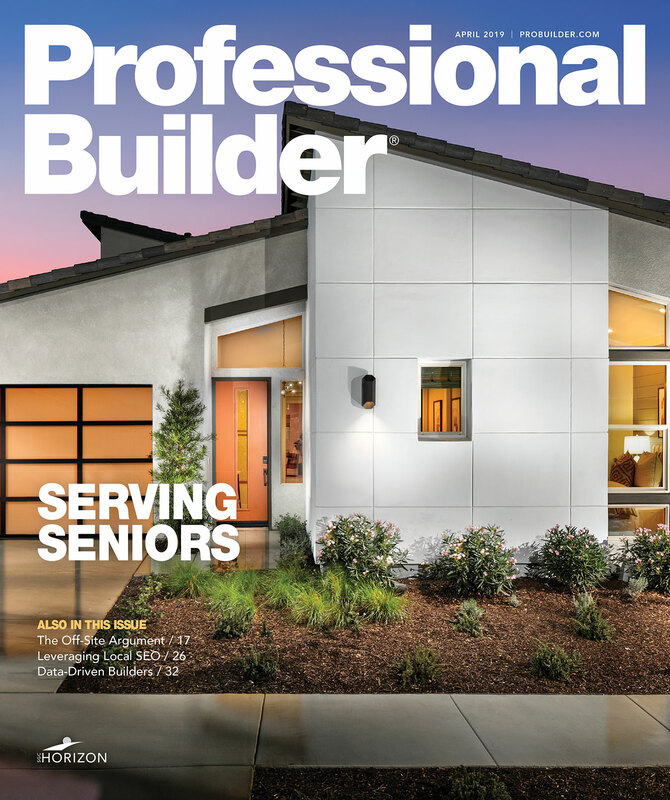 “Building the home is just one-third of the process,” says Charlie Scott, partner, Woodland, O’Brien, and Scott, a consulting firm focused on improving customer satisfaction for home builder clients. Home buying is a long and at times convoluted and confusing process, Scott notes. Finding the right location, choosing a builder, obtaining a mortgage, budgeting for the costs of closing fees and furnishings, and monitoring construction progress are just some of the nerve-wracking aspects of the process for buyers. “People go through an emotional roller coaster when they buy a house,” Scott says, and builders need to ease their anxiety. The Jones Com­pany prides itself on providing the latest in green technology. “We were ahead of the curve on energy efficiency,” says Perry Pratt, Jones’ VP of operations; and they continue to incorporate new systems and features that save homeowners money. Many customers have glowed over the fact that their Jones-built homes have lower energy bills than they had with their smaller starter homes, Pratt notes. The 85-year-old company constantly keeps tabs on market trends impacting efficiency and other aspects of design. They also keep a close eye on how their customers feel about the quality of service. In recent years, the results of customer satisfaction surveys are almost always positive — in 2010, about 90 percent of customers surveyed said they would “enthusiastically” recommend the company. • Northland Residential, Burlington, Mass. 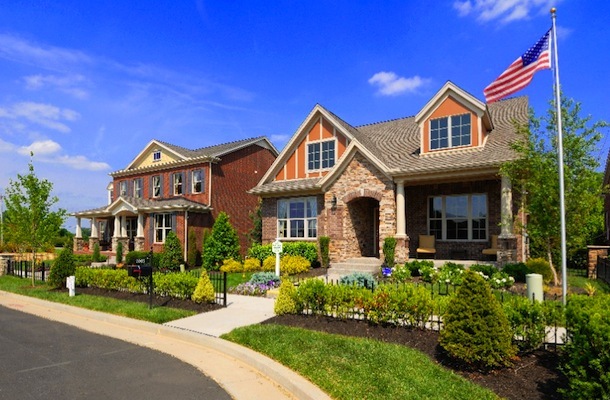 • Consort Homes, Chesterfield, Mo. • DSLD Homes, Denham Springs, La. • HHHunt Homes – Raleigh Division, Richmond, Va.
• Maracay Homes, Scottsdale, Ariz.
• The Jones Company, Nashville, Tenn.
• True Homes, Monroe, N.C.
• Vantage Builders, Colorado Springs, Colo.
• Ryland Homes – Houston Division, Calabasas, Calif.
• Standard Pacific Homes, Irvine, Calif.
• HHHunt Homes – Hampton Division, Richmond, Va.
• HHHunt Homes – Richmond Division, Richmond, Va.
• Thompson Homes, Owensboro, Ky.
To enter the 2013 BPAA program, visit: http://conta.cc/NVybX3. Among the keys to Jones’ customer care strategy are frequent communications with the customer — particularly in the weeks approaching closing. As the construction process gains momentum, each buyer receives a weekly phone call from the builder in charge of their project, as well as a salesperson, to outline progress and explain next steps. Hands-on management of warranty items is also critical. The company has two vans that are solely dedicated to fulfilling warranty items. “We don’t sub that out to somebody else,” Pratt emphasizes. A subcontractor may do the actual repairs, but a Jones Company staffer always oversees the work. When a tragedy strikes a community you can learn a lot about its people and its businesses based on how they respond. After devastating wildfires destroyed hundreds of homes in Colorado Springs earlier this year, Vantage Homes received dozens of calls from customers whose houses had been destroyed. “Some of them just needed somebody to talk to,” says Vantage’s CEO George Hess. Vantage was eager to help with moral support, as well as with practical matters such as providing help with documentation for insurance claims. Vantage continues to follow the sage advice of Hess’ mentor, the late Bud Shepard, a well-respected Colorado Springs builder: “We’re in the people business, not the building business.” That motto has served Hess and the company well, with high marks from customers — 100 percent of whom said they would refer others to the company in the most recent round of surveys. Already, 10 former customers whose homes were destroyed by the blazes have signed contracts with Vantage to rebuild. Managing customer expectations by clearly and frankly explaining the home-building process, including the potential pitfalls, is one of the most important factors in achieving high customer satisfaction, Hess says. “We are now experiencing some trade labor shortages,” he says. “At the initial meeting with customers, we explain that we could have some scheduling delays as a result.” It’s much better to mention that possibility up front, rather than spring an unwelcome surprise later, he reasons. There’s something to be said for having deep roots in a local market. Schmidt Builders in Cincinnati, a third-generation home-building firm, has been delivering quality homes since the 1960s. The firm has a well-earned reputation for exemplary service among customers and local brokers. It helps a small firm — 30 closings last year — compete with the big boys. High referral rates are essential to the firm’s success, and referrals stem from the core foundation of the organization. 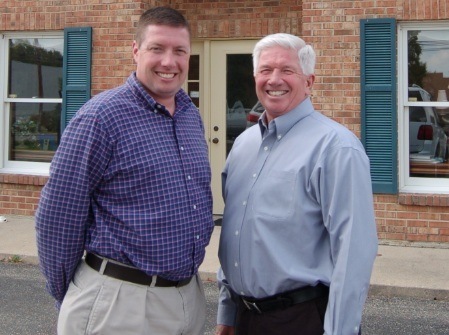 Alan Schmidt, Sr., CEO, sums up the firm’s guiding philosophy that he learned from his father: “Your word is your bond.” Schmidt has instilled that motto in his son, Alan Schmidt, Jr., president (pictured above, at left, with his father), who is now responsible for most day-to-day operations. “If we say we’re going to do something, then we’re going to do it,” Schmidt, Sr., emphasizes. All employees are expected to return calls promptly, and embrace a team concept. Everybody is responsible for addressing problems, and finger pointing is greatly discouraged, especially on critical issues such as fulfilling warranties. Another key to customer satisfaction: “We don’t miss closing dates,” says Schmidt, Sr. However, maintaining a perfect record on closing dates does have a drawback: it can slow growth. Rather than take on too many projects that could overtax Schmidt’s resources and put closing schedules at risk, the company sometimes postpones or turns down new projects. It’s an approach that may have cost some profits in the short run, but the strategy has bolstered the company’s stellar reputation. DSLD Homes has had a remarkable run since it launched in 2008 during the depths of the housing crash. Top-notch customer satisfaction rates have been critical to the firm growing from zero to 650-plus annual closings. While many companies slip on customer care as they race through a period of rapid growth, DSLD has consistently scored sky high on customer satisfaction surveys. Saun Sullivan, DSLD partner, says this enviable track record can be traced back to research on customer satisfaction conducted before the company’s inception. “We looked at a lot of best practices from different people inside and outside of the industry,” Sullivan says. DSLD founders visited with other builders, hotels, and restaurants and applied what they learned to their own business. Another key: The company doesn’t wait for customers to call them on warranty items. “We call all customers proactively, do our own inspection, and fix anything that we see that needs it, even if the customer doesn’t mention it,” Sullivan says. That level of attention has clearly paid dividends. HHHunt Homes, a division of HHHunt Corporation, bucked the odds during the housing recession and expanded when the national market tanked. The company grew from 140 closings in 2010 to more than 400 last year. The privately held firm expanded into new markets — Raleigh-Durham, N.C., in 2008 and Charleston, S.C., in 2010 — while many other builders retrenched. Wilson has no doubt that a strong commitment to customer satisfaction yields results. “Builders with the highest referral rates are the most stable,” he concludes. 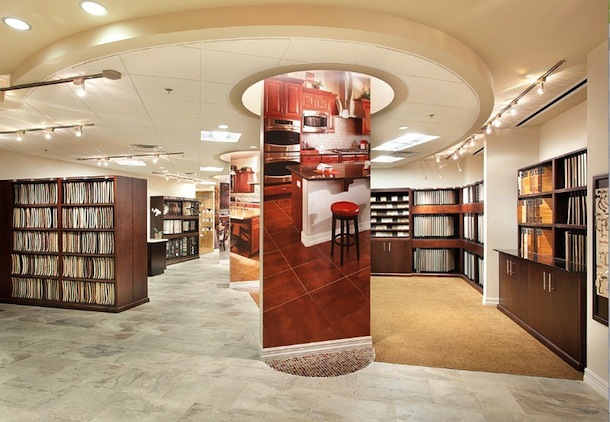 Maracay Homes’ recipe for customer satisfaction has a lot to do with providing substantial design choice. The Scottsdale, Ariz., builder offers a high degree of customization. “Our Flex Design program is the cornerstone of our business,” says Jeff Eschliman, VP of operations. Flex Design allows customers to self-design many home elements with an online tool. Visitors to Maracay’s website choose from among multiple styles, floor plans, and features. The firm’s three-person design team takes that information and adapts it for each client. Many customers, for example, have multi-generational families, Eschliman says. Some opt for “grandparent suites,” which can be designed to have either shared or separate entrances from the rest of the house. Based in one of the housing market’s hardest-hit regions, Maracay not only weathered the storm, but continues to thrive by providing exemplary customer care that extends to the jobsite. “We see teams in the field as customer advocates,” Eschliman says. Another key to Maracay’s success is its status as a Weyerhaeuser subsidiary. “We get industry leading opportunities in terms of buying power and best-practice sharing with other subsidiaries,” Eschliman points out.